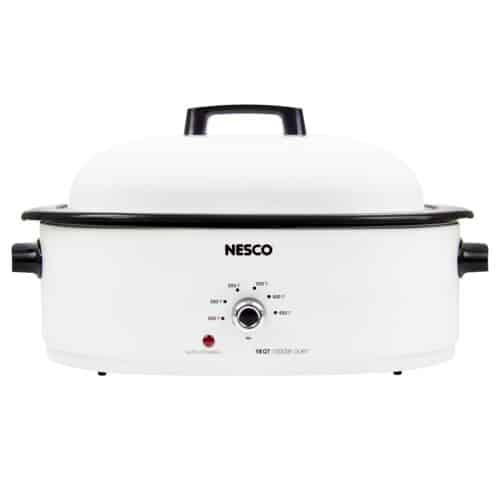 The Nesco® 18 Qt. Roaster Oven roasts a whole turkey, some say “to perfection”. 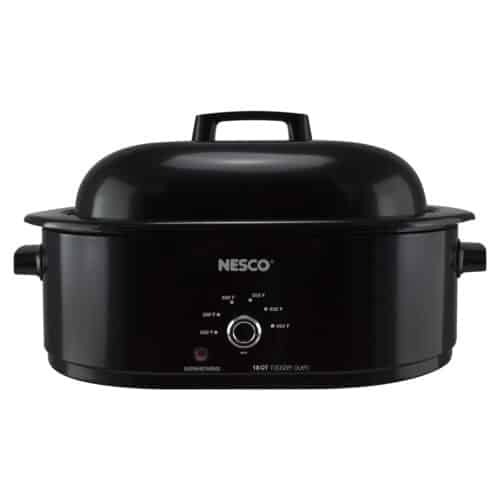 It can bake a pie or a batch of cookies, steam vegetables, poach fish or cook a hearty soup. 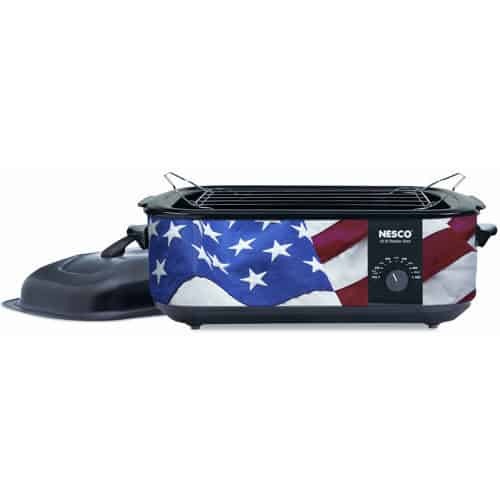 The heart of the 18 Quart Nesco® Roaster Oven contains the unique “Circle of Heat®” element, thick insulation and a full range auto-temperature control for efficient meat roasting and baking. The rack has convenient lift-out handles. 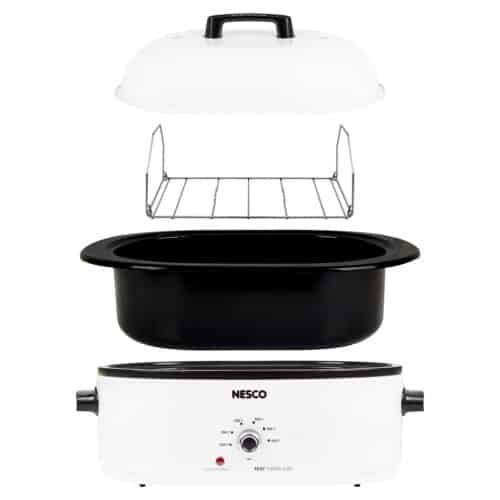 The removable cookwell can be stored in refrigerator and washed in a dishwasher. 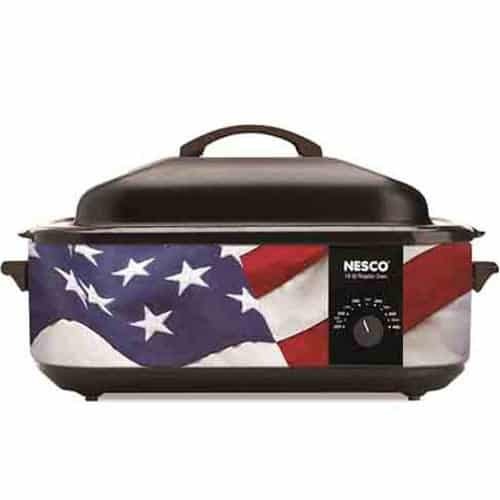 So, let’s get cooking! 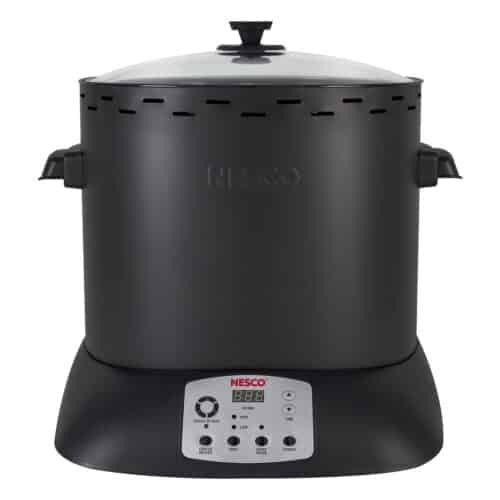 It’s time to explore all the wonderful ways to get the most out of your roaster oven for years to come.